This is to notify the public especially Direct entry candidates that the JAMB Direct Entry form is out, to explain further, this form is available for candidates that wish to apply for admission into university, using their Diploma certificate, when you get direct entry admission into any university, you will start from 200level or 300level as the case may be. Candidates should note that once the have any of the diploma certificates listed above and also pass the direct entry examination and possesses the institution requirements that they will be admitted. So you are expected to do your best. (a) A minimum of ﬁve (5) GCE/WASCE credits at not more than two sittings with at least two Principal or Advanced level C.E. and the others. (c) Passes in two major subjects in the NCE with S.C.E., NTC/NBC credits or equivalents in THREE other subjects (mainly for Education Courses) and ND. Education may be accepted as a third A’ Level subject for those taking courses in Education. 1. The first on the list is that you Create JAMB profile account (if you have created before you don’t need another one. 3. Continue registration by supplying the vended PIN on the mobile application or the JAMB Registration Application at an accredited CBT centre. 4. Complete other required information via the mobile application or the JAMB Registration Application at an accredited CBT centre. The sale of JAMB Direct Entry form commenced on 10th January 2019 and will last for six weeks before the closing date which will on 21st February, 2019. 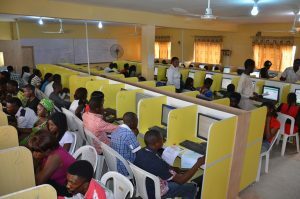 That’s the deadline to purchase your JAMB Direct Entry application form. If there will be any extension we will update you on time.